According to Android Police, Google has just added a shortcut to the Android version of the Google Lens app that makes it easier to use the feature to search for items in any of your pictures. The Google Lens app has just added an album button at the top of the screen that when tapped, will allow you to go through the photos stored in your album with Google Lens. Before this change, you would have had to open the photos app to scan the pictures stored there. So even though Google Lens opens with a viewfinder allowing you to search things in real-time, there might be situations when you want to search something that you previously memorialized on a picture. That's when you can save some time by tapping on the album icon. After tapping on the album icon, you can see your most recent pictures. Tap on the hamburger menu on the left, and you'll have the opportunity to select an image from Google Drive. 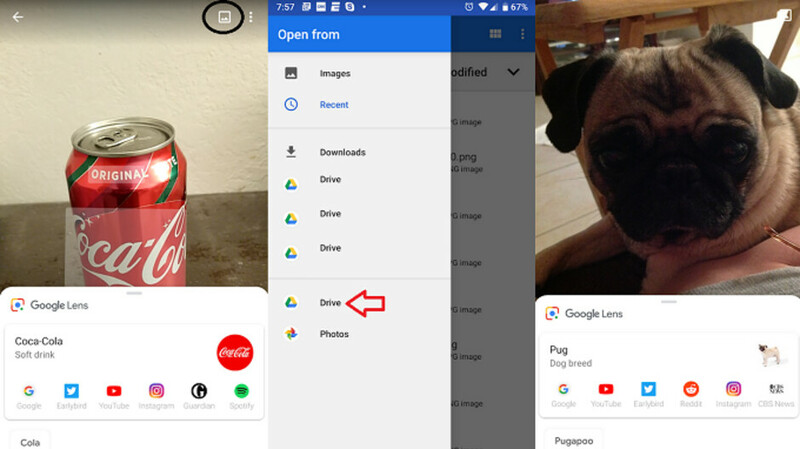 Regardless of whether you choose a photo from your album or an image from Drive, Lens will appear on the screen, telling you what you took a picture of, even a cute pug (view the image at the top of this article).